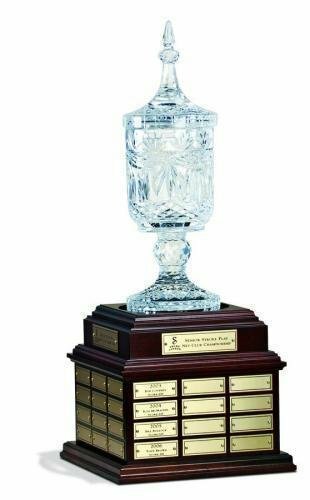 A large trophy base can turn a regular cup trophy into a long lasting perpetual trophy. 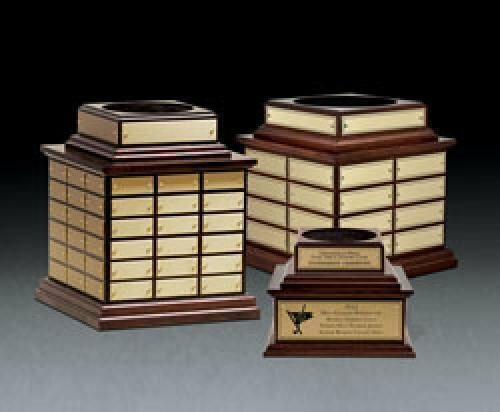 Perpetual trophy bases are a great way to get a lot of history on your award. 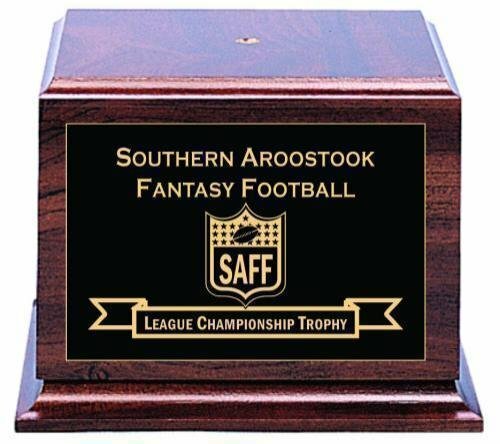 Fantasy Football enthusiasts can find the best bases for trophies here. Great ideas for donor recognition as well. 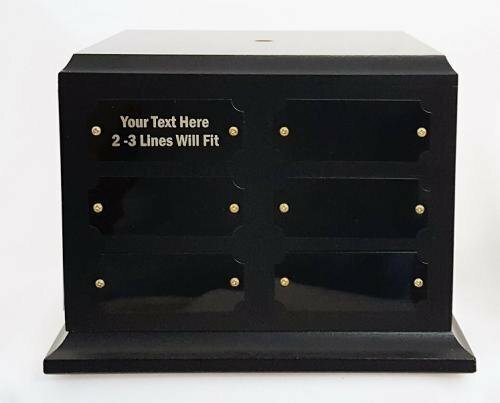 This black matte finished pressboard base is a great value if you are looking to mount something to make your own custom trophy. The base size is 7", the box is 5" x 6.6", and the top is 6". The overall height is 5.5". You can purchase this base without plates, or you can add 6, 12, or 18 individual plates. You can also have a header plate engraved for the front. The plates are black brass and they engrave gold. Individual plate size is 1" x 2.5" and they are mounted to the base with 2 screws. Engraving not included. See customization options when you add to cart to view plate and engraving options. 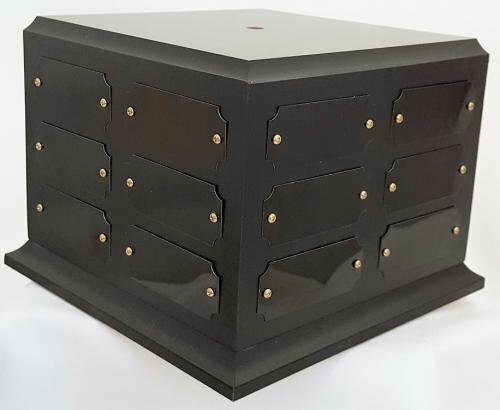 This black painted solid walnut base is a quality product that will make a great trophy for years to come. 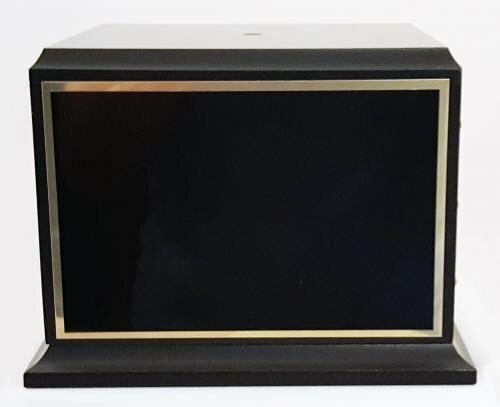 If you are looking to mount something to make your own custom trophy and want it to last up to 48 years, then this is the base for you. This base is available in two sizes. For the smaller item, the sub base size is 14", the bottom box is 11" x 2.25", the top box is 6" x 3". The overall height is 6.25". For the larger item, the sub base size is 15", the bottom box is 12" x 2.5", the top box is 7" x 3.5". The overall height is 7". You can purchase this base without plates, or you can add 12, 24, or 48 individual plates. You can also have a header plate engraved for the front. 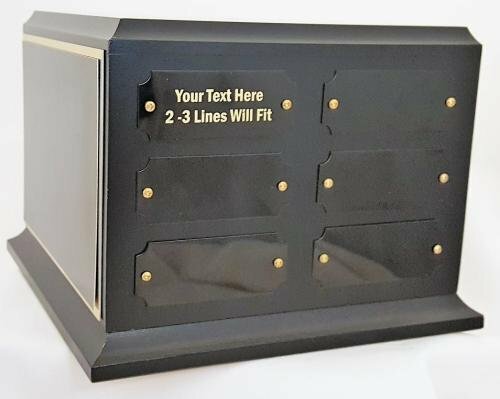 The plates are black brass with a gold border and they engrave gold. Individual plate size is 1" x 2.5" and they are mounted to the base with 2 screws. 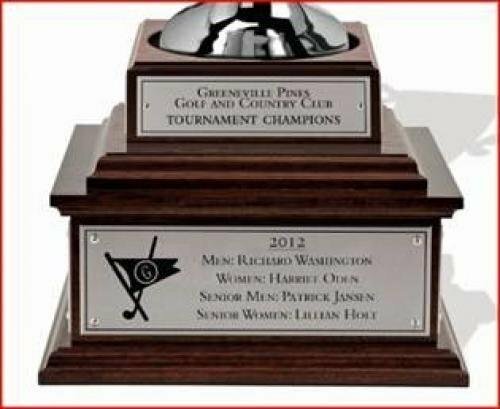 This cherry finished pressboard base is a great value if you are looking to mount something to make your own custom trophy. The base size is 7", the box is 5" x 6.6", and the top is 6". The overall height is 5.5". You can purchase this base without plates, or you can add 6, 12, or 18 individual plates. You can also have a header plate engraved for the front. The plates are black brass with a gold border and they engrave gold. Individual plate size is 1" x 2.5" and they are mounted to the base with 2 screws. 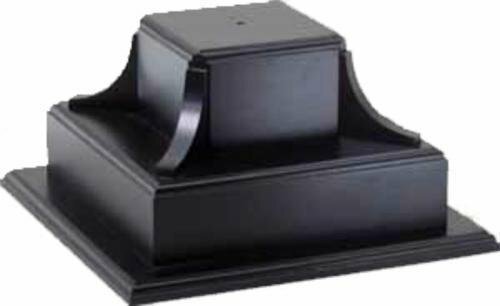 Stock perpetual trophy base with 5 tiers. The item on top could be anything, but we show a crystal award here. This crystal is NOT INCLUDED in the pricing. This base is available with either a round or square relief on top to set your topper on. 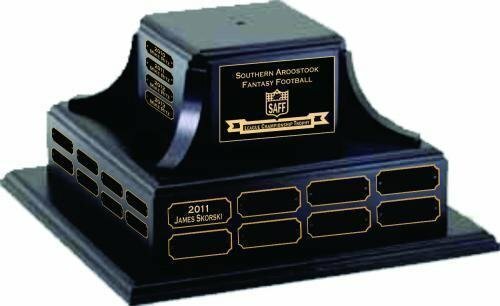 The front has a header plate describing the award, and you can choose from 4, 32 or 72 plates on the base. Brass or Pewter plates are included. Great for donor recognition as well. Engraving and setups are additional on this award. Please specify round or square relief when ordering. Please specify Mahagony or Cherry wood when ordering. Production lead time for this trophy is 60 days. 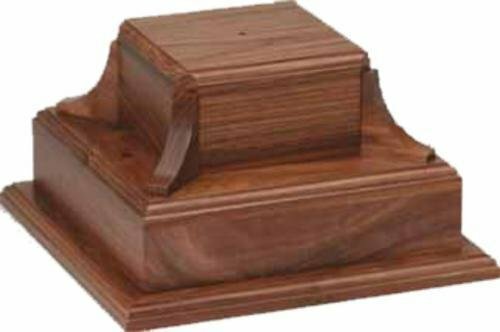 This solid walnut base is a quality product that will make a great trophy for years to come. 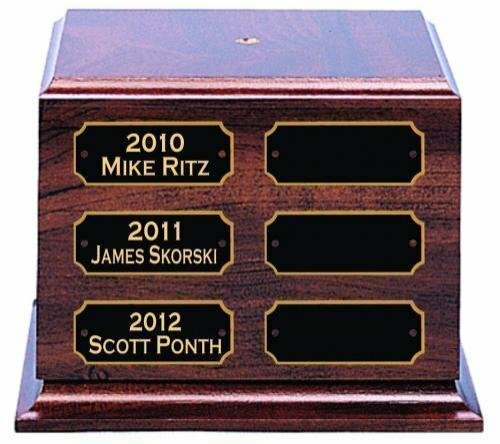 If you are looking to mount something to make your own custom trophy and want it to last up to 48 years, then this is the base for you.